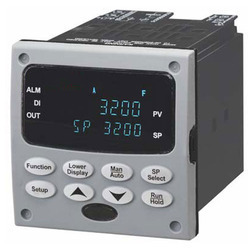 Leading Exporter of digital indicating controller and digital controllers from Mumbai. 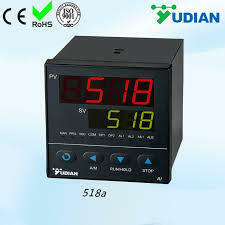 We are offering our customers precisely designed the range of Digital Indicating Controller with active color PV display. The offered product is a highly accurate 1/4 DIN controller. 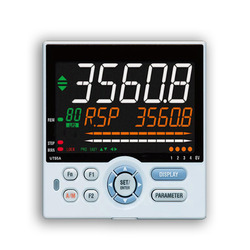 These products have a large display for readings universal input/output and excellent monitoring operability with auto / man switching key. Apart from this, offered products are offered to the clients at the reasonable price. With the help of well-trained professionals, we are engaged in offering Digital Controllers to our clients. The offered products are made available in many specifications to cater to the customer needs. These products are ideal for regulating temperature in a variety of applications like dryers, semiconductor, plastic processing, packaging machinery, painting and coating, and climatic chambers. Having enormous knowledge in this sector, we are engaged in offering a premium quality Digital Controllers. These controllers are microprocessor based controllers designed with a high degree of functionality and reliability at a competitive price. We offer this to our clients in different specifications.